As the summer wedding season gets truly underway, I know just how hectic and overwhelming it can be to juggle multiple clients’ demands as a busy venue managing a successful wedding team. I know that the early summer is often the most challenging as you have the full season’s client weddings ahead, all asking questions, checking details, updating details, rechecking questions and let’s face it, looking to you for reassurance and guidance to calm the nerves. As a wedding planner, six weeks before every wedding celebration either my bride or groom (or both) would have a wobble about something wedding related, no matter how organised and on top of it we were. I hear you and I’ve been there. So I thought I’d dedicate this feature to giving you some tried and trusted strategies on how to take the lead with your client relationships. 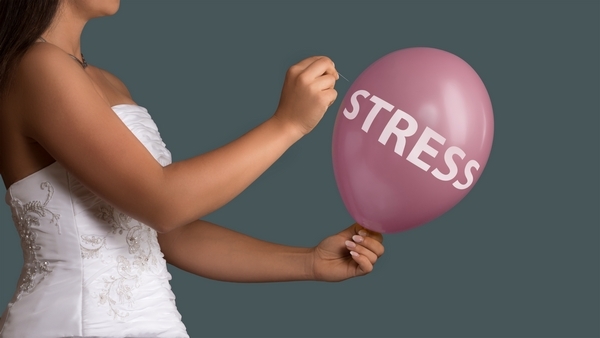 Whether in wedding season or not, these are powerful strategies to have you taking control and guiding your couples so that you can juggle your workload without burnout. > Process Explanation – when they book, explain key dates/time frames for things like menu tasting, the meeting with you to run through the schedule, the handover meeting for the day, and roughly when those will take place. These things are probably ingrained in your mind but don’t forget to inform your clients as they don’t know. > Frequently Asked Questions – have a document that you regularly add repeated questions into and send this out to all couples upon confirmation of their wedding and at time intervals – say each six months of their planning? Questions could include: Are candles allowed? What size are your dining tables? What do the chairs look like? Where can we throw confetti? What can you offer suppliers to eat and at what price? When you suffer from email overload, asking questions that you know are included in your FAQs, you can politely remind couples to look at the document and reattach it, saving you time retyping. Your couples should get the implicit message for the next time to check that document but do keep it friendly; we know that we all often ask for info to be repeated at some point or another, it’s only human! I certainly know what it’s like to be overloaded with emails from certain clients – I had one groom many years ago now count how many emails his bride had sent to me over the course of the planning and he mentioned it jokingly in his speech – it was 4,000! If I knew then what I know now, we would have reined this in. So how do you handle it when the emails keep flowing? It’s important to take control. I’m all about impressive customer service but there are limits and unfortunately the speedier you reply to one-off emails the more of a pattern and expectation this sets. Have you thought of trialing a 30 minute catch up phone or Skype call with your couples at say two monthly intervals in the planning? You can state in your Process Explanation that couples have the option of a two monthly catch up call with you to address any and all of their questions at that point. You can make a key sales point of the fact that it’s available and that they can save up all their questions and have your dedicated time. You don’t need to make the calls essential (as some couples are very laid back) but it can be seen as a “value added” opportunity to get your advice, support and ask all those nitty-gritty questions that otherwise will generate hundreds of emails. When the emails flow, you can always say “looking forward to our Skype on X date when we can go through this”. The benefit of course is that you can talk things through on the phone and most likely get decisions and be able to update your function/event sheet just once instead of 20 times! You are the expert; they are not! Now, I don’t suggest that you quote these words to your couples as you’ll likely get their backs up, but remember that they need you and you are far more likely to understand the logistics of their wedding day at your venue than they ever will. They are inexperienced so try to be patient when queries come through perhaps out of logical time order; things seem urgent to a bride when they are not to you, and questions that you feel don’t need asking get asked. Take a deep breath and smile; wedding planning certainly isn’t for the faint-hearted but fast forward to those joyous smiles and treasured lifetime memories you’re helping to create; that’s pretty special. Kelly Chandler is a long term preferred service provider for exclusive venues such as Syon Park, Highclere Castle, Spencer House and Stoke Park Club. Kelly’s consulting services to wedding venues draw to prior experience in international conference and event planning, over 15 years of business management, and working directly with discerning couples planning their weddings in diverse locations and forging successful relationships with all components of the wedding industry. A former director of the trade body The Alliance of Wedding Planners, Kelly is a well-regarded innovator, mentor, trainer and industry spokesperson on and in the wedding business.